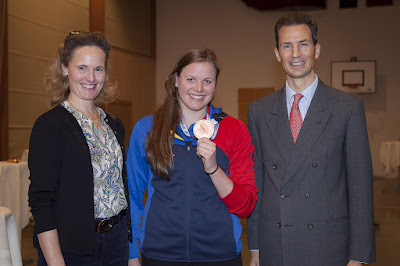 Just before Christmas, on December 22, Hereditary Prince Alois and Hereditary Princess Sophie were on hand for the official welcome-home-party for Liechtenstein swimmer Julia Hassler. Hassler recently won a bronze medal over 400m freestyle at the European Short Course Championships on Copenhagen in a new national record. It was the first time that a swimmer from the Principality has medalled at an international championship. More pictures of the celebrations in Schellenberg at Vaterland. It's a day with an unexpected number of posts though this one comes quite expected. As he does at the end of every year, Prince Hans-Adam II has given an interview to 1 FL TV. The full interview can be watched here. 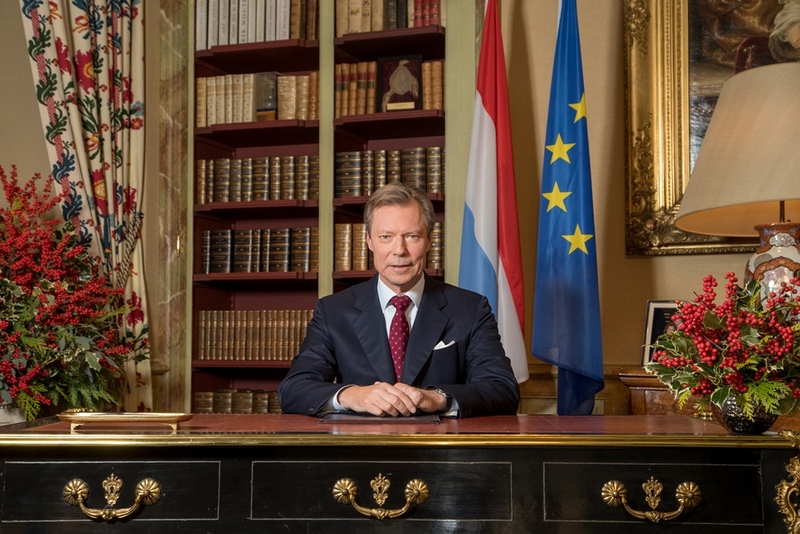 Instead of the typical year-in-review interview, he talks about the history of the Princely Family and the Principality this time around. In 2019, Liechtenstein will celebrate its 300th anniversary. To learn about the Princely Family's history and how they came to the country that bears their name, check out our Luxarazzi 101s, here and here. The newest edition of Hola has an interview and a eight page spread of gorgeous pictures of Princess Astrid, daughter-in-law of Prince Philipp and Princess Isabelle, and her home in Paris. Born Astrid Kohl, she is married to their oldest son Prince Alexander and the couple shares a daughter, Theodora. Princess Astrid is a businesswoman who runs several companies, mostly in the pharmaceutical industry. Among others, Princess Astrid tells in the interview about her husband, "He is a real prince, in the truest sense of the word. We share the same values and goals. He is a fantastic father for our daughter. He has got a great sense of humour and he makes the best of every situation. He is very intelligent and he got an encyclopedic knowledge of the world, we don't need Google whenever he's around." About her daughter Theodora Princess Astrid shares, "My daughter is a comet. Ever since she was a little girl, she has been very curious. She likes learning new things very much. She speaks four languages and she is becoming a great amazon." For more, check out the new Hola magazine! Remember that time I said that just because we do not see something, it doesn't mean that it isn't happening? Here's another one for the gallery: The Grand Duchess met the First Lady of France, Brigitte Macron, twice this year. 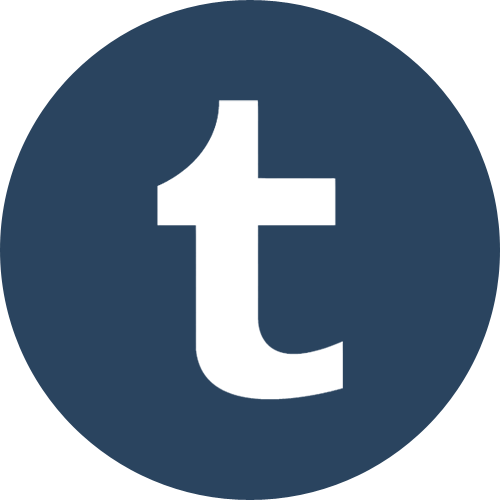 In July they had a talk and in October they had a luncheon together without it ever making the news and this blog. The news come courtesy of the publication of the engagements of Mme Macron by the Elysée Palace and thanks to Valentin who shared the information! While everyone and their relatives is on Christmas and New Year's break, let's play favourites again by chosing Your Favourite Luxarazzi Gala Appearance of the year. Just like last year, we will have two votes: The Tiara Division, to come sometime in the new year cause there's no better way to start it than with a bit of sparkle, and the No-Tiara Division. Without much further ado, let's get right into it, because we have a lot of entries competing for your affection. 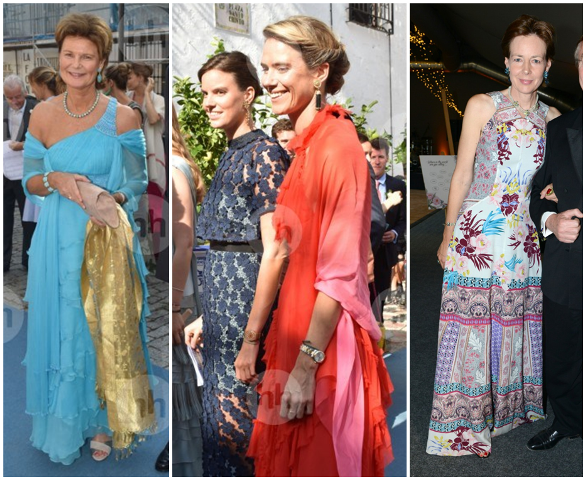 Grand Duchess Maria Teresa (in Yves Dooms) at the state visit from Portugal; Grand Duchess Maria Teresa at the birthday party of the King and Queen of Norway; Grand Duchess Maria Teresa at the wedding of Princess Marie-Gabrielle; Princess Alexandra at the wedding of Princess Marie-Gabrielle; Princess Alexandra at the wedding of Prince Dmitri Galitzine. 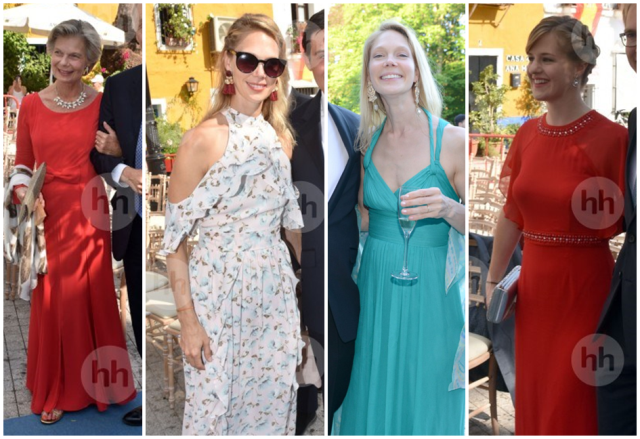 Hereditary Grand Duchess Stéphanie (in Paule Ka) at the Norwegian birthday bash; Hereditary Grand Duchess Stéphanie (in Ralph Lauren) in Cannes; Hereditary Grand Duchess Stéphanie (in Emilio Pucci) at the wedding of Princess Marie-Gabrielle; Hereditary Grand Duchess Stéphanie (in Paule Ka) during the state visit from Portugal; Hereditary Grand Duchess Stéphanie (in Elie Saab) in London. Princess Claire (in Denis Durand) in Cannes; Prince Claire (in Jenny Packham) at the wedding of Princess Marie-Gabrielle; Princess Sibilla (in Georges Hobeika) at the wedding of Princess Marie-Gabrielle; Princess Sibilla (in Georges Hobeika) at the Bal des Débutantes; Princess Charlotte (in Georges Hobeika) at the Bal des Débutantes. Princess Margaretha at the wedding of Princess Marie-Gabrielle; Princess Astrid (in Self-Portrait) at the wedding of Princess Marie-Gabrielle; Princess Anunciata (in Emilio Pucci) at the wedding of Princess Marie-Gabrielle; Countess Diane at the wedding of Prince Dmitri Galitzine. Archduchess Marie-Astrid at the wedding of Princess Marie-Gabrielle; Archduchess Marie-Christine at the wedding of Princess Marie-Gabrielle; Archduchess Marie-Christine at the wedding of Prince Dmitri Galitzine; Archduchess Kathleen at the wedding of Princess Marie-Gabrielle. And now it's onto you: Vote for your favourite gala appearance (no-tiara division) of 2017! The poll closes on January 3. Hereditary Grand Duchess Stéphanie has given an interview to Belgian TV show Place Royale talking about her love for art, books, her patroages and how she spent her Christmas. (The interview was actually broadcast just before Christmas but we only got around to covering it now, so imagine it's December 23 for the interview's sake.) You can watch the full interview also over on Facebook. Here's a summary of what was said. 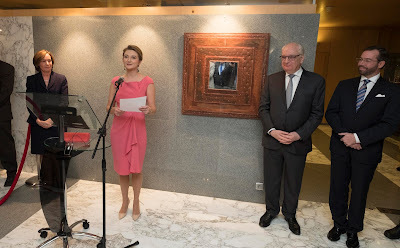 Asked if she is more into classic arts or more modern, the Hereditary Grand Duchess says that you are never 100% into classic art or 100% into modern art, but that it depends on the time, the place, your mood and so on, just like it is with music for example. She explains that she isn't very creative herself or very skilled with her hands but she that she has an artistic soul in the sense that she admires the artists very much. Hereditary Grand Duchess Stéphanie also recalls a visit to the Louvre with her mother when she was a young girl. She explains that there is not a real history of arts in her family when asked how she became first interested, but that there is this specific anecdote: When she was very young (between 4 and 6 years old) her mother took her to Paris and really wanted to take her to the Louvre but feared that Stéphanie wouldn't understand anything or wouldn't care about this many paintings and other works of art. Still, her mother decided to take her there but only to see the Mona Lisa and they stayed in front of it for 20 minutes and her mother explained her everything about the Mona Lisa and that moment stuck with her ever since. The Hereditary Grand Duchess also reveals that museums are a pleasure and not an obligation to her. She adds that this is a lesson she learned from that visit to the Louvre with her mother. If she only visits half of a museum and then she gets tired or she has already had too much new infos, she leaves because she knows she'll be able to come back another day when she feels like it to see the other half. This way, visiting a museum always is a pleasure. Asked which composers she likes best, Stéphanie replies that there are three categories: Artists she listens to, those she plays and those she wishes she was able to play. Mozart, Tchaikovsky and Paganelli all fall into the first category; she adds that she doesn't really play music from specific composers but more the musics you generally play when you learn how to play and that she has started playing the piano again recently, and those she would like to be able to play include Tchaikovsky. She tells the story of how she started to learn to play the violin when she was 12 because she wanted to play the Concerto of Tchaikovsky, after her brother gave her an album of Tchaikovsky and she fell in love with the Concerto, but she was never able to. About her visit to the Biennale in Venice this year, the Hereditary Grand Duchess says that she really enjoyed learning more about the artists personally and she also likes promoting them both in Luxembourg and abroad. She adds that it is important for every country to promote what their strength is and that she is happy to be part of it even though she isn't sure if she would call herself an ambassador. Questioned whether it is difficult to promote Luxembourgish arts because the Grand Duchy is such a small country, she says that she doesn't agree. She adds that in neighbouring in Belgium, for example, there aren't too many artists who are well known abroad either. She's been living in Luxembourg for five years now and she really sees a difference in the sense that more Luxembourgish artists have made a name for themselves even internationally compared to five years ago. 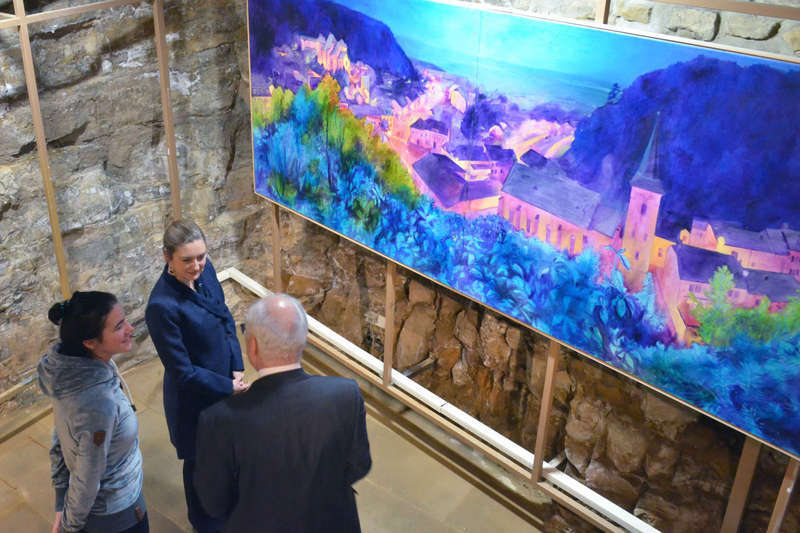 Hereditary Grand Duchess Stéphanie describes Luxembourg and its artists as influenced by both the Germanic and Latin cultures with a very strong own identity, which brings out a very varied and often surprising mix of artists. To showcase the variety of Luxembourgish art, she reveals that a new and bigger exhibition of Des Mains de Maîtres will take place in December 2018. The Hereditary Grand Duchess also gives her thoughts on Luxembourgish cinema, which isn't very well known abroad but that it does exist with a lot of the movies co-produced with neighbouring Belgium. Stéphanie adds that she loves cinema because cinema makes you dream and travel. Being able to see behind the scenes, due to her position, is a really good bonus for her. She adds with a laugh that she doesn't think she would be a good actress although she would enjoy to do more to promote the movies. They also laugh at the possibility of her and Guillaume being on stage one day playing piano (her) and guitar (him). The interview then turns to another part of the arts: Literature. The Hereditary Grand Duchess tells that she reads a lot in German and French. She loves starting books but she never finishes them so she is always reading five books at the same time. (I hear ya, girl!) She usually reads a serious story, a more lighter one and for sure always a comic - a Belgian influence - at the same time. Her favourite comic is Asterix in Belgium. Stéphanie then talks about another one of her patronages, Les Amis des Musées. She says that usually every museum has its own association but that in Luxembourg six of the biggest museums have one association. She likes it this way as it allows more cooperation between the museums. 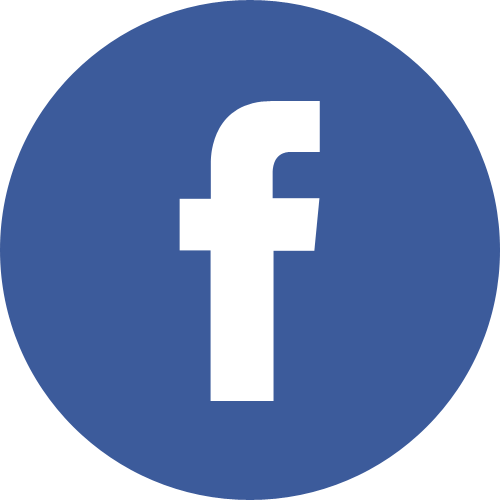 In addition, the people who want to be part of the association because they like one museum, easily get the chance to discover the others too. Towards the end of the interview, the Hereditary Grand Duchess says that she and her husband will spend Christmas with her family at her father's home in Belgium. She says that generally there are like every other family spending Christmas and not the Grand Ducal Family. 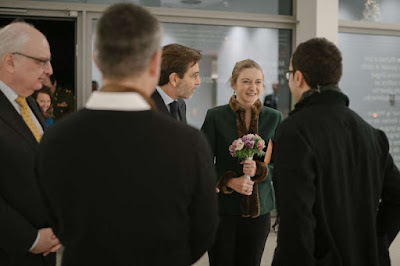 The interviewer then asks the Hereditary Grand Duke, who is backstage, to not listen as her asks Stéphanie if she has already bought his present. She answers that she did and that it is well hidden. Asked if Guillaume asked for anything specific, she says that he did for St. Nicholas (December 6) but that the Christmas present is a complete surprise - and that the present he bought her is as well. First of all: A very merry Christmas from all of us here at Luxarazzi to you and your loved ones! And the Grand Duke would like to wish you happy holidays as well. This evening, his traditional Christmas speech is being broadcasted to his "dear fellow citizens". "Together with the Grand Duchess, Grand Duke Jean, Prince Guillaume and Princess Stéphanie and all our children, we wish you with all our hearts a merry Christmas and already all the best and happiness for the new year", Grand Duke Henri concluded his speech. In general, the Christmas speech lay a special focus on the importance of fighting climate change, making Luxembourg's infrastructure ready for the future and the state of the world and Europe in particular. 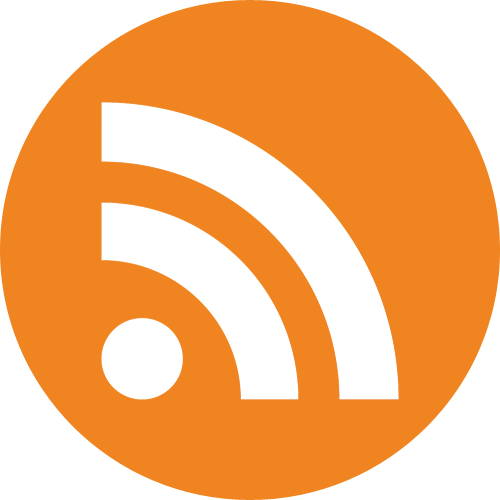 A full translation will probably be available at The Luxembourg Times sometime soon. On the 22nd, Hereditary Prince Alois received, at Schloss Vaduz, five new ambassadors for the presentation of credentials. Among the ambassadors were the following: Jane Caroline Owen, the Ambassador of the United Kingdom; Ahmad Naseem Warraich, the Ambassador for the Islamic Republic of Pakistan; Susan Nilla Bincoletto, the Ambassador of Canada; Sharrina binti Abdullah, the Ambassador of Malaysia; and Edward Thomas McMullen, Jr., the Ambassador of the United States of America. As is standard, Minister of Foreign Affairs Aurelia Frick also paid a courtesy visit to the government building before the credentials were distributed. Information here. More photos from llv.li. It is only a few day until Christmas is here. In the past week or so Hereditary Princess Sophie kept busy by making the traditional pre-Christmas visits to the Landesspital hospital in Vaduz as well as different retirement homes throughout Liechtenstein. 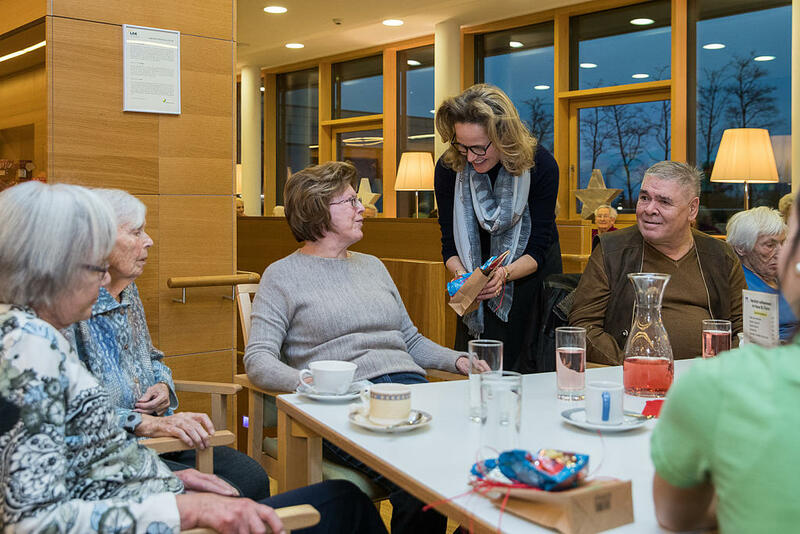 During her visits the Hereditary Princess spent time with the patients and residents and presented them with little gifts. This tradition of the ladies of the Princely Family visiting the hospital and retirement homes of the country has existed for many, many years. Pictures of all the different visits on various days are all conveniently combined in one photo gallery over at Vaterland. 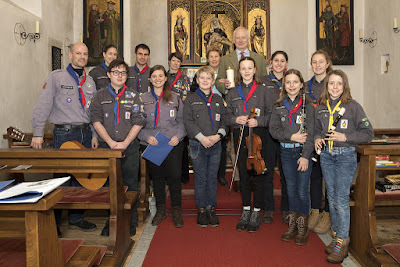 The Prince Hans-Adam II and Princess Marie received a group of scouts at the chapel of Schloss Vaduz today, where they presented with the International Peace Light. Now in its 31st year, the Peace Light from Bethlehem campaign was originally organised by the Austrian Broadcasting Company (ORF) and was part of a large charitable relief mission for children in need in Austria and abroad called Light into Darkness. Since then it has greatly expanded and the light is now travelling from Bethlehem, where it is lit by an Austrian child in the Natavity Grotto, to more than 30 countries each year. More visuals are available at Vaterland. 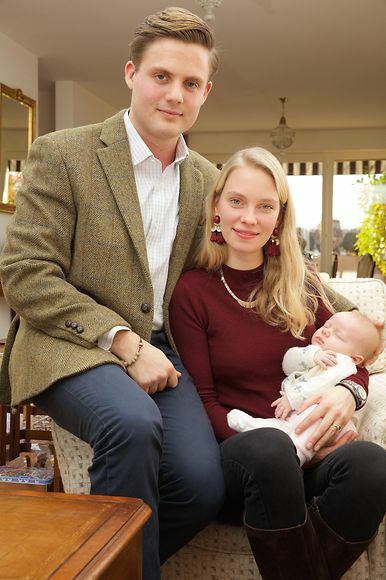 Many royal watchers were surprised by the news the other day that Archduchess Gabriella, niece of Grand Duke Henri, and her fiancée Prince Henri of Bourbon-Parma recently welcomed a baby daughter. Their's is an old-school royal union, after all the Habsburgs and the Bourbons are some, if not the most important royal houses in Europe. When I set out to write this post, I had a pretty clear message in my head. I planned to say that this union may just be a bit too close to comfort for my personal taste. Archduchess Gabriella and Prince Henri are second cousins, with both their sets of parents also being second cousins. I'm neither an advocate pro- or anti-noble unions as I simply believe that you should marry the person you love and want to spend your life with. It wasn't even simply the fact that they are second cousins, but how many times over these two are related. However, when we did the maths I - and my fellow bloggers here at Luxarazzi - were pretty surprised. We traced young Victoria's (who, by the way, due to being born out of wedlock probably does not have a style and title) back seven generations. And while they are some very interesting lineages from the same ancestors, there also are plenty little known nobles that aren't related in any way in there. Probably most striking of all, baby Victoria is a descendant of Duke Robert I of Parma (1848-1907) and his second wife Infanta Maria Antonia of Portugal (1862-1959) through four different lines. Duke Robert I of Parma had 24 children by two wives. Among them Princess Zita, (the future Empress of Austria), Prince Felix (the future Prince Consort of Luxembourg), and Prince René (who went on to marry Princess Margrethe of Denmark). It is through these three royals that young Victoria can trace her ancestry back to the last sovereign Duke of Parma and Piacenza. Victoria also descends in multiple ways from King Miguel I of Portugal and his wife née Princess Adelaide of Löwenstein-Wertheim-Rosenberg; King Christian IX of Denmark ("the Father-in-Law of Europe") and his wife née Princess Louise of Hesse-Kassel; and Duke Wilhelm of Nassau via his first or second wife. She is also a descendant of Luxembourg's very own Grand Duchess Charlotte and Prince Felix via two of their children, Grand Duke Jean and Princess Marie-Gabrielle, as also shown above. We went back seven generation. In the row on the bottom, you can read the names of Victoria's great-great-great-great-great-grandfathers. Everyone who appears more than once is marked with a colour. Grand Duchess Charlotte and Prince Felix are marked purple; King Miguel I of Portugal and Princess Adelaide of Löwenstein-Wertheim-Rosenberg red; King Christian IX of Denmark and Princess Louise of Hesse-Kassel are turquoise; Duke Wilhelm of Nassau is yellow; and Duke Robert I of Parma and Infanta Maria Antonia of Portugal are green. (Read the chart from the left, as we stopped a line as soon as he arrived at people that previously appeared.) As you can see, there is plenty of blue - meaning people, who appear only once. A closer look at Archduchess Gabriella's ancestors. A closer look at Prince Henri's ancestor (to be read in addition to Gabriella's chart). Yes, some of these lines (*cough* Grand Duchess Charlotte and Prince Felix *cough*) end pretty early on but I imagined there to be a much smaller variety of ancestors and more overlap in previous generations. Combined, Archduchess Gabriella's and Prince Henri's grandparents do include a Princess of Ligne, a Count of Holstein til Ledreborg and a Princess of Broglie-Revel though. While famous noble names, they would not have been able to marry into the ruling families of Austria, Luxembourg, (Bourbon-)Parma, Braganca or Belgium prior to the last century. If we would go back further, we would naturally find more common ancestors. With seven generations we are, however, well into the 18th century - and if we looked at our own family trees, we would probably find a few overlaps in ancestry back then, too. Will I ever become a fan of modern-day intermarriage between rather closely-related royals? Probably not, but I got to admit that it was rather fun researching all of this. And I may just miss the days a tiny bit when you could easily make out all the close familial connections between the different reigning families. Days that a are now gone with only a few reminders still in existence. Cases in point: Grand Duke Henri and King Philippe of the Belgians are first cousins, as are King Carl XVI Gustaf of Sweden and Queen Margrethe of Denmark. Archduchess Gabriella, youngest daughter of Princess Marie-Astrid of Luxembourg and Archduke Carl-Christian of Austria, introduced her baby daughter to the world. Little Victoria Antonia Marie-Astrid Lydia was born on October 30. 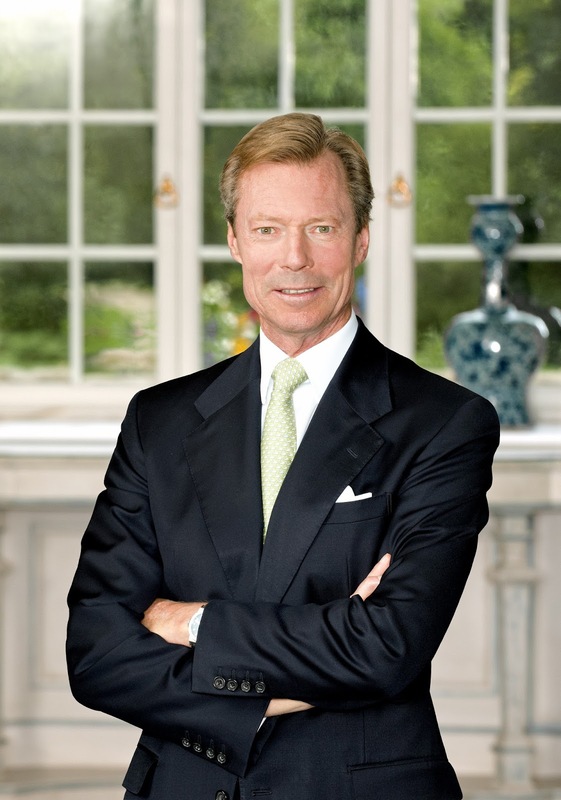 The father is Prince Henri of Bourbon-Parma, who proposed to Archduchess Gabriella a few days before their daugther was born. Prince Henri is the youngest son and child of Prince Eric of Bourbon-Parma and Countess Lydia of Holstein til Ledreborg, who married in 1980 and divorced in 1999. Countess Lydia of Holstein til Ledreborg is, of course, the second of seven daughters of the late Count Knud of Holstein til Ledreborg and Princess Marie-Gabrielle of Luxembourg, a sister of Grand Duke Jean. This makes Archduchess Gabriella and Prince Henri second cousins as descendants of Grand Duchess Charlotte and Prince Felix. The cour grand-ducale has shared a new, more relaxed photograph of the Grand Ducal Family at the Sandhurst graduation of Prince Sébastien to mark the end of the year - which gets a big thumbs up from us, we'd love to see more informal pictures! For more information and photos of the occasion, have a look at our previous post. Point de Vue recently ran an article about this year's Bal des Débutantes that is also available online. 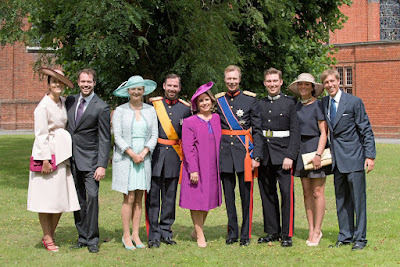 The article includes a very nice picture of Prince Guillaume and Princess Sibilla with their three oldest children (from left) Prince Paul-Louis, Prince Léopold and Princess Charlotte. And yes, I'd also sign a petition to see more of this branch of the family. 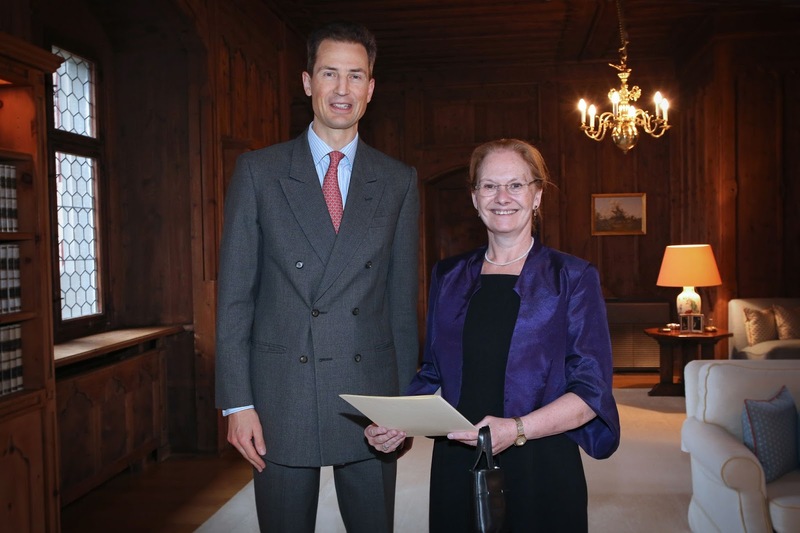 Prince Stefan is Liechtenstein's new non-resident ambassador to the Holy See. On Thursday, he was received by Pope Francis to present his letter of credence. Prince Stefan was accompanied by his wife Princess Florentine, three of their children as well as his mother Princess Josephine for the occasion. He also presented the Pope with a letter written by Liechtenstein's altar boys and girls. 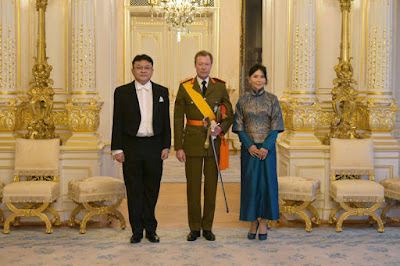 Prince Stefan previously served as the Principality's ambassador to Germany (2007-2017) and Switzerland (2001-2007). As non-resident ambassador to the Holy See, he follows in the footsteps of Prince Nikolaus, who resigned from his position in July of this year after having served for 31 years. At the time of his resignation, Prince Nikolaus was the longest serving ambassador to the Holy See of all nations and vice dean of the Diplomatic Corps. 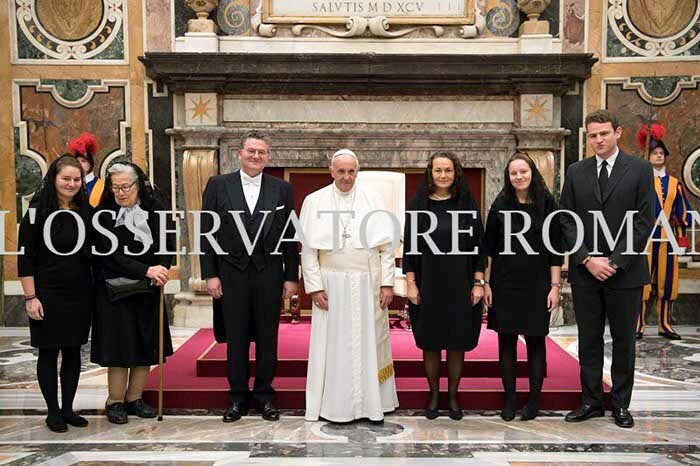 More pictures of the audience with the Pope can be found at L'Osservatore Romano. At the moment, King Michael I of Romania is on his final journey to Curtea de Argeș where he will be laid to rest later this evening. Michael, who ruled Romania twice before being forced to abdicate by the communists in 1947, died at age 96 in Switzerland on December 5. Earlier today, a church service also took place at the Patriarchal Cathedral and on the Royal Palace Square in Bucharest. Among the mourners in Bucharest were both Grand Duke Henri and Princess Isabelle, sister-in-law of Prince Hans-Adam II representing the Princely Family of Liechtenstein. Princess Isabelle is seated in the second row hidden behind Princess Astrid of Belgium in the picture above. 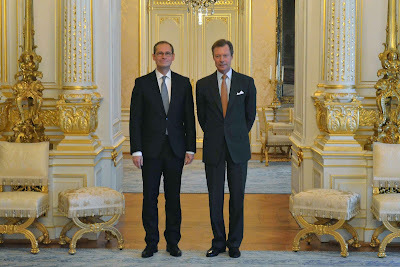 Alongside the King and Queen of Sweden as well as King Juan Carlos and Queen Sofia of Spain, the Grand Duke also attended a meeting with the President of Romania, Klaus Iohannis, and his wife. Princess Isabelle will also be present for the laying to rest in Curtea de Argeș. You can see a video of the Bucharest portion of the funeral on Youtube. There is also a livestream from Curtea de Argeș available. Hereditary Grand Duchess Stéphanie is becoming quite the patron of the arts in Luxembourg. Early today she visited the exhibition "Peinture" at the Galerie "Mein Engel". The exhibition is part of the series INTRO_* launched by the Luxembourgish Ministry of Culture to showcase different kinds of works by local artists. This month, the exhibition focuses on paintings and features works by Julien Hübsch, Christian Neuman, João Freitas, Aude Legrand and Anina Rubin. In the basement, Chantal Maquet, winner of the Francis-André Scholarship, shows her new series "Nuets (Virun der Dier)". The Hereditary Grand Duchess was accompanied by Guy Arendt, Secretary of State of Culture. 'Tis the season and the cour grand-ducale decided to ring in the last ten days until Christmas with some wonderful new pictures of Château de Berg, the official private residence of the Grand Duke and Grand Duchess. In addition to some seasonal interior shots of the Christmas decorations, there are also some wintery pictures of the castle's exterior. Head over the the cour's website to enjoy them all. 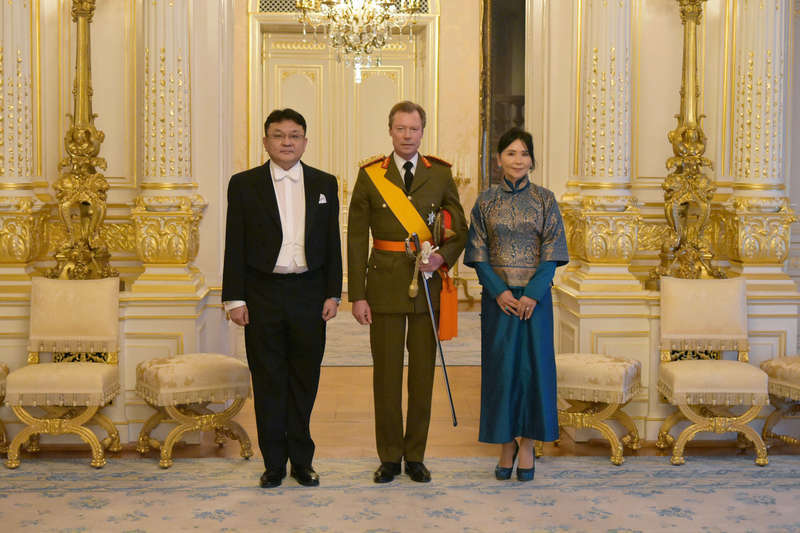 We're back for a new Fashion Friday post after our state visit special two weeks ago. 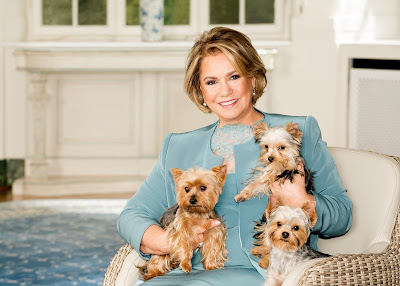 First of all, I want to share with you two finds I made for Hereditary Grand Duchess Stéphanie! On June 27, for one of the garden parties on the occasion of this years's National Day, Stéphanie wore a Pronovias dress. She also wore a Pronovias gown last year for the 8th Luxembourg-American Business Awards in New York City. Now, I don't have a lot of IDs to give you as the Lux ladies didn't have a lot of events but I do have some. 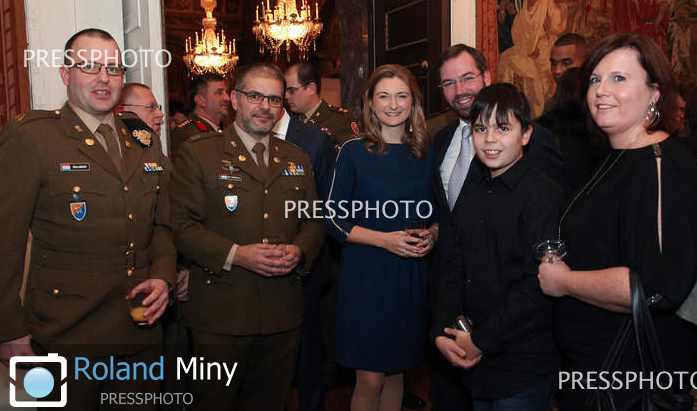 On December 12, the Grand Ducal Family hosted a reception for soldiers and members of the police force. 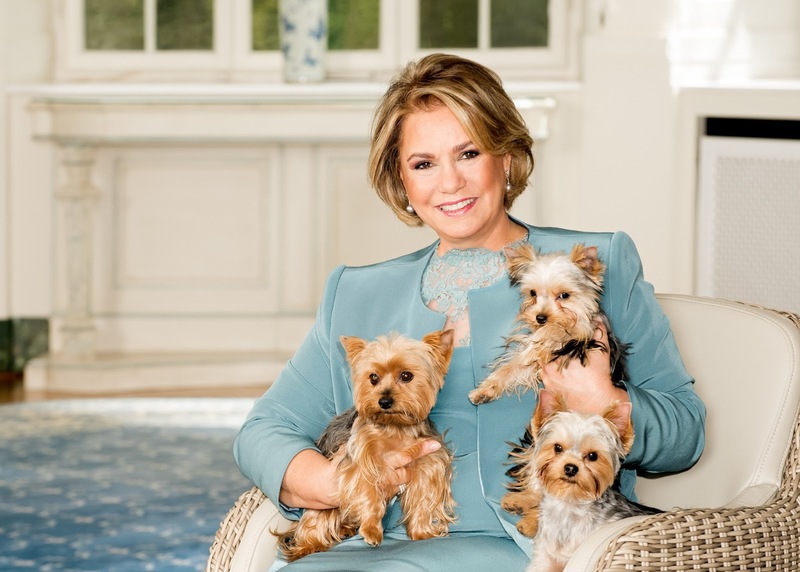 Grand-Duchess Maria Teresa wore a new Yves Dooms outfit. Yves Dooms clearly has become her favorite designer in the past few months ! 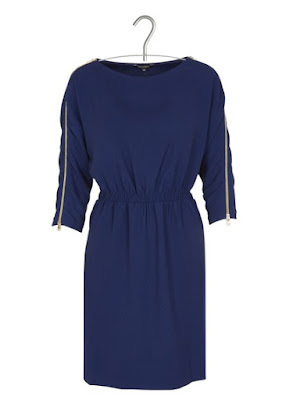 Hereditary Grand Duchess Stéphanie wore a new Tara Jamon blue dress with zip details on the sleeve. New official photos of the Grand Ducal Couple were released and I got confirmation from Yves Dooms that Maria Teresa was wearing one of his designs. What did you think of these outfits ? 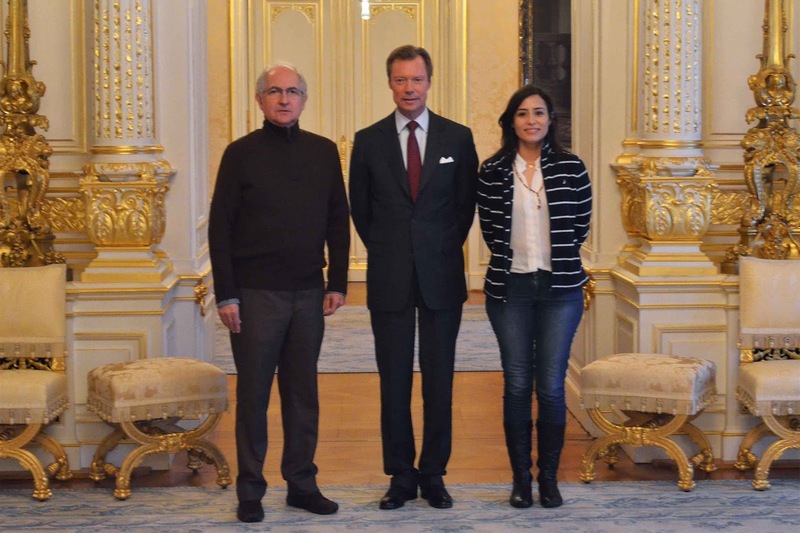 On the 14th, Grand Duke Henri received in audience the two winners of the 2017 Sakharov Prize, Antonio Ledezma and Patricia Gutiérrez, who are being recognized for their fight against political repression and human rights violations in Venezuela. The latter is the wife of jailed opposition leader Daniel Ceballos and received the prize, in part, on his behalf, as well as for her own efforts to bring awareness to the situation in Venezuela. 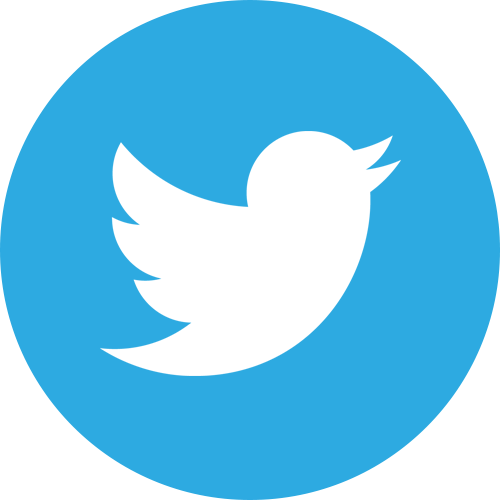 The former is a lawyer and politician who fled Venezuela in early November to avoid imprisonment and continue supporting the opposition party from abroad. 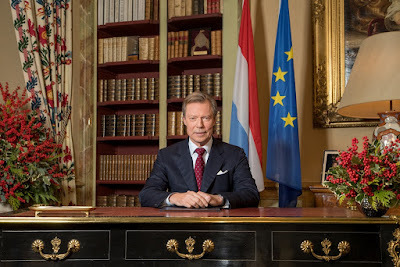 The Cour has released new official photos of Grand Duke Henri and Grand Duchess Maria Teresa. On December 13th, Hereditary Grand Duke Guillaume received in audience some members, including young scientists, of the Jonk Fuerscher Lëtzebuerg Foundation. The Foundation President Carlo Hansen was also present for the audience. 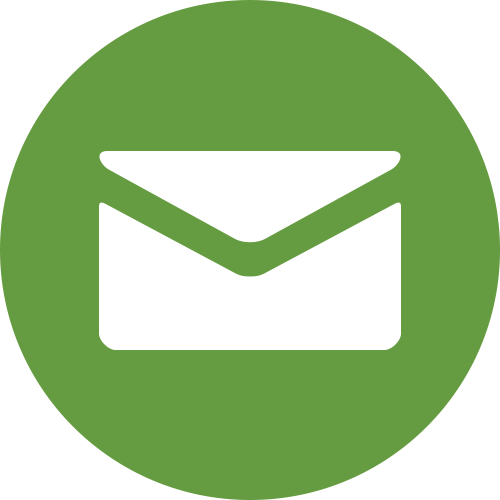 The young scientists of the Foundation are participating in a number of projects for 2017, including materials science, electromagnetic experiments, and 3D opportunities. 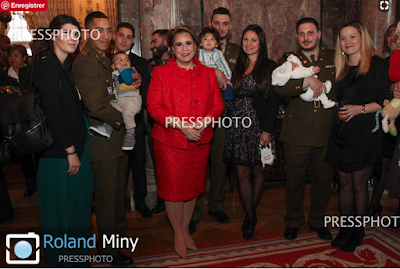 Yesterday, members of the Grand Ducal family hosted the annual reception at the Château de Berg for the members of Luxembourg's army and police force who took part in humanitarian and peacekeeping missions abroad this year. The reception welcomes not only the members of the army and police force but also their spouses, significant others, parents, and children. 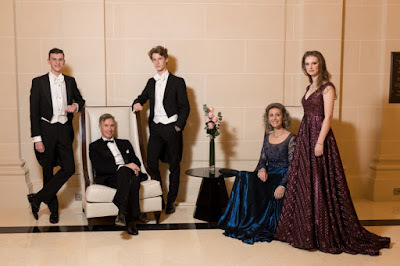 The event occurs shortly before Christmas every year, as the Grand Ducal Family opens the grand dining room and the ceremonial hall to their guests. 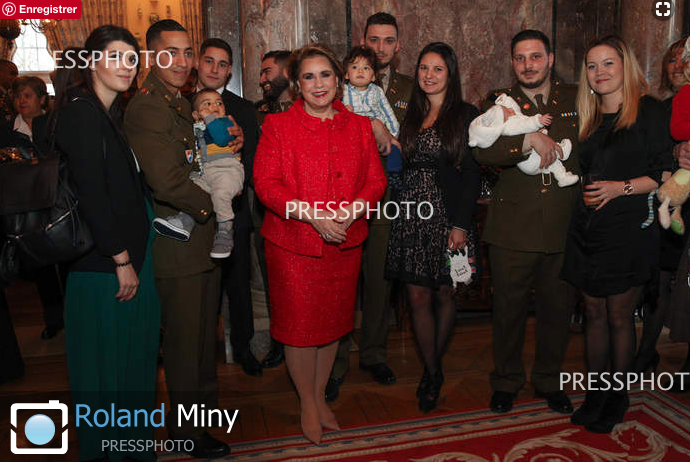 Grand Duke Henri and Grand Duchess Maria Teresa, Hereditary Grand Duke Guillaume and Hereditary Grand Duchess Stéphanie as well as Prince Sébastien were on hand to greet the guests. 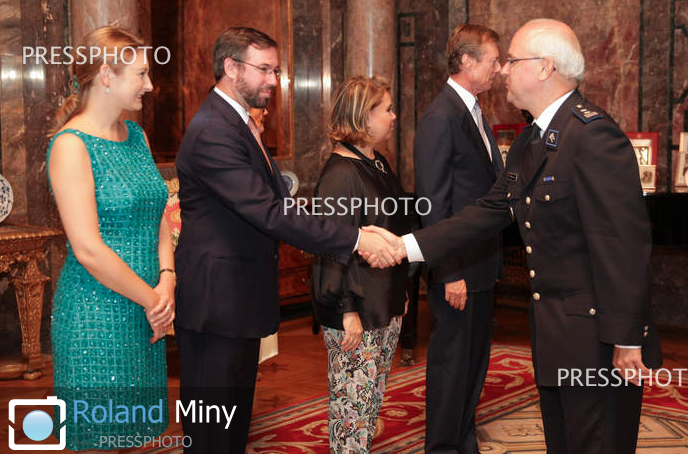 Deputy Prime Minister and Minister of the Economy, of Internal Security and of Defence Etienne Schneider as well as Francine Closener, Secretary of State of the Economy, of Internal Security and of Defence were also present for the reception. Last night, Hereditary Grand Duchess Stéphanie visited the new "Para Sempre" exhibition at the Centre Culturel Portugais Camões. The exhibition featuring works by Portuguese artist Miguel Branco will run until January 22, 2018. Miguel Branco's works have also been regularly featured in exhibitions by the Mudam. The "Para Sempre" exhibition was organised by Les amis des musées d'art et d'histoire Luxembourg that the Hereditary Grand Duchess is the patron of. More visuals at the cour. 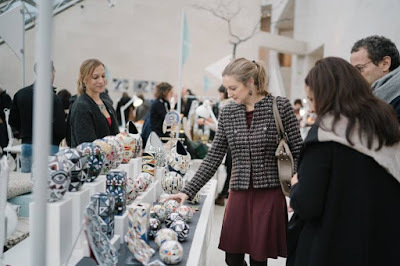 This weekend, Hereditary Grand Duchess Stéphanie visited the Marché des Créateurs - or Creators' Market - at the Musée d'Art Moderne Grand-Duc Jean where she toured the stands. The museum describes the event as "an opportunity to bring together designers using different techniques and working in diverse disciplines and universes (product, fashion and textile design, illustrations, jewellery...). There are a multitude of revisited or totally new objects that reflect the effervescence of contemporary production. Limited editions, handcrafted or edited products: the Marché des créateurs bears witness to great creativity and is a unique occasion for innovating designers and the public to meet." 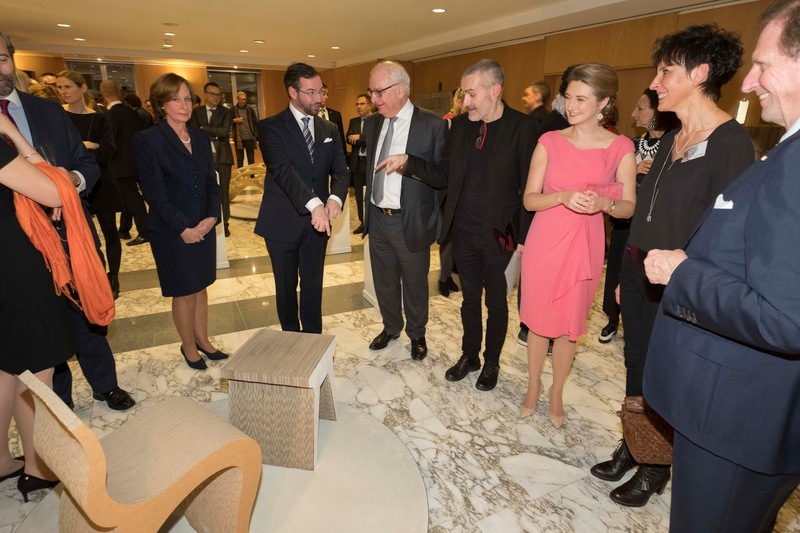 The Hereditary Grand Duchess is the president of the administrative board of the Mudam. 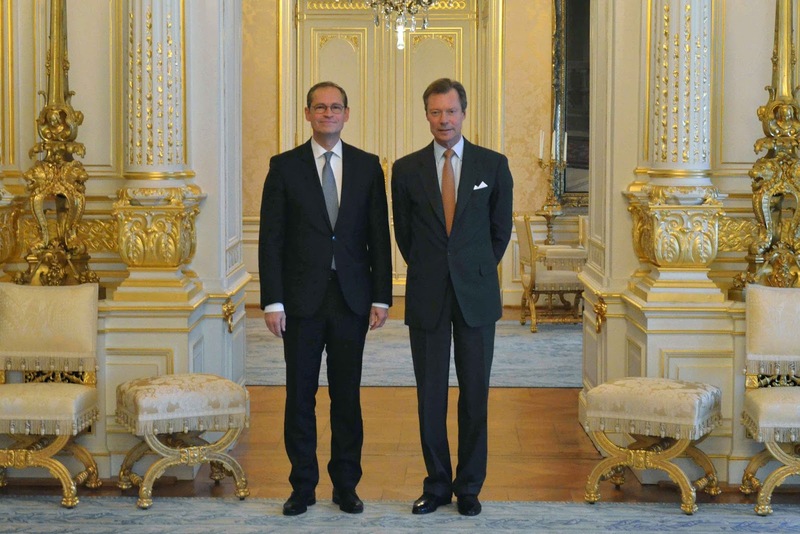 Earlier today, Grand Duke Henri welcomed the governing mayor of Berlin for an audience at the palais. Michael Müller is also currently serving as the President of the Bundesrat, which also makes him deputy to the President of Germany. He was on a working visit to Luxembourg today. 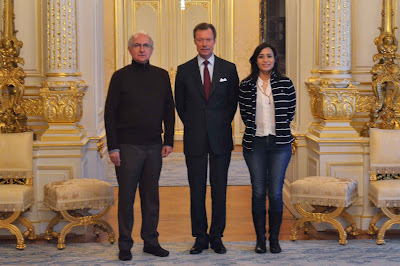 Grand Henri received a delegation of members of the Council of the Bishops' Conferences of Europe at the palais today. He is pictured above with (from the left) the Secretary General Duarte da Cunha, the President of the Council of the Bishops' Conferences of Europe Angelo Cardinal Bagnasco and Luxembourg's Archbishop Jean-Claude Hollerich. On the 10th, Grand Duke Henri and Grand Duchess Maria Teresa attended the inauguration for the new Howald and Pfaffenthal-Kirchberg railway stations. The event opened at Howald where the Grand Duke unveiled the new station name. 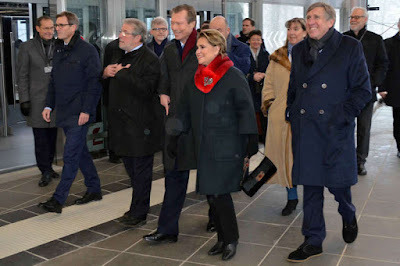 Afterwards, the Grand Ducal couple visited the station at Pfaffenthal-Kirchberg, and from there traveled by Tram to visit the new Tramsschapp administrative building to attend an academic session. 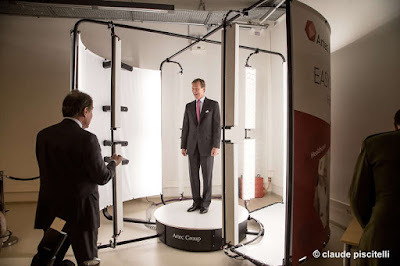 Remember the De Mains de Maîtres exhibition initiated by the Hereditary Grand Duke and Hereditary Grand Duchess which took place in Luxembourg late last year? The exhibition showcasing local Luxembourgish talent has just gone international once more. After Luxembourg and France, the exhibition is now being shown in Belgium. On Thursday night, Hereditary Grand Duke Guillaume and Hereditary Grand Duchess Stéphanie attended the opening in Brussels. The Hereditary Grand Duchess gave the opening remarks. The exhibition "Of Master Hand" highlights some 60 young craftsmen and art designers from the Grand Duchy and the Grand Region. Its aim is to note the country's young talented creatives and to highlight the beauty and importance of the transfer of know-how to younger generations. The idea behind the the exhibition comes from no other than the Hereditary Grand Duke and Hereditary Grand Duchess themselves who launched the initiative together with the Chamber of Trade and the Ministries of Economy and Culture. In case you are based in Brussels or will be around in the coming weeks: The exhibition, located at the Embassy of Luxembourg as well as the Galerie Lin Delletaille, will run until December 15 and 16 respectively. Much more information and another pictures available from the cour.